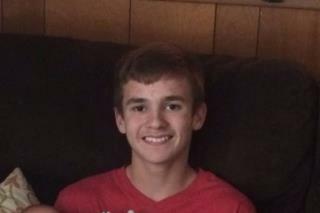 (Newser) – One moment, 13-year-old Indiana boy Noah Inman was playing basketball with friends on a summer evening. The next, he was on the ground, fatally injured by a bullet that had fallen from the sky. Noah died in a Chicago hospital on Friday, six days after he was hit by the bullet, which police believe was fired into the sky "like a firework" by somebody celebrating in a nearby community at around 9:30pm, NBC Chicago reports. People at the scene initially thought Noah had suffered a seizure. The Hammond Police Department offered its "heartfelt condolences" to the boy's family and urged the shooter, or anybody who knows somebody who was firing into the air on July 1, to come forward, ABC 7 reports. An innocent young kid killed, because some jackass just had to assert his manhood by firing a gun in the air. I hope the cops find him, and charge him with manslaughter, reckless conduct, and illegal discharge of a firearm. Raining bullets out there also? dang, Chicago is one deadly place to be.